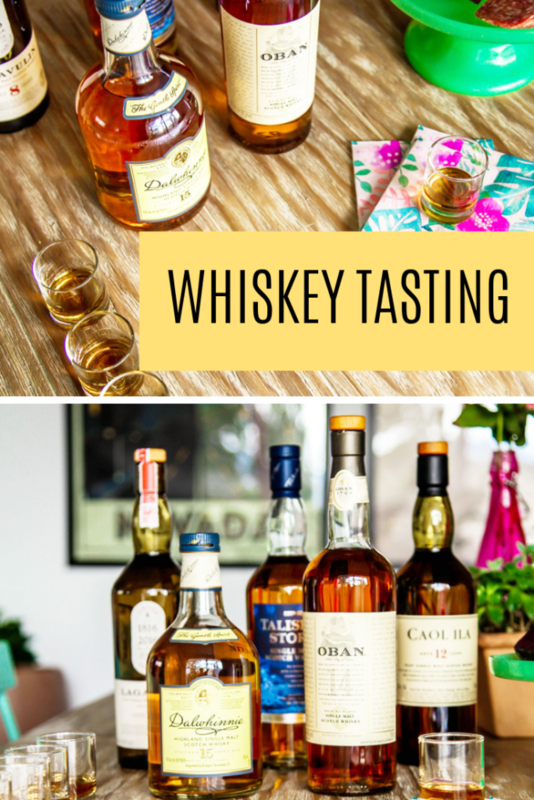 We recently had a blind whiskey tasting party and it was one of my favorite parties we’ve ever hosted. Matt runs a local whiskey club where friends get together to taste and try out new bottles every month. So these guys and gals know a thing or two about their whiskey, but a blind tasting was such a fun way to experience drinks in a fresh way. It was a riot to see how different our taste buds react when we are not basing our opinion on price point or brand. 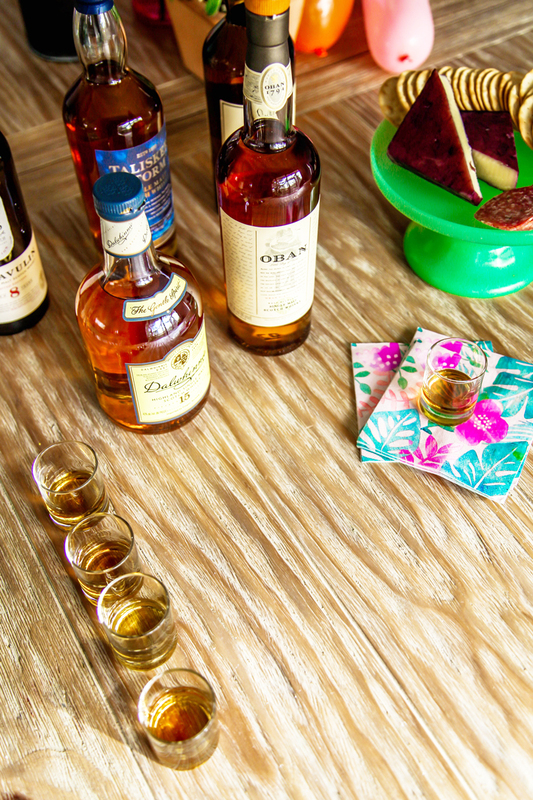 Whether it’s whiskey, rum, red wine or even La Croix that your crew enjoys most. 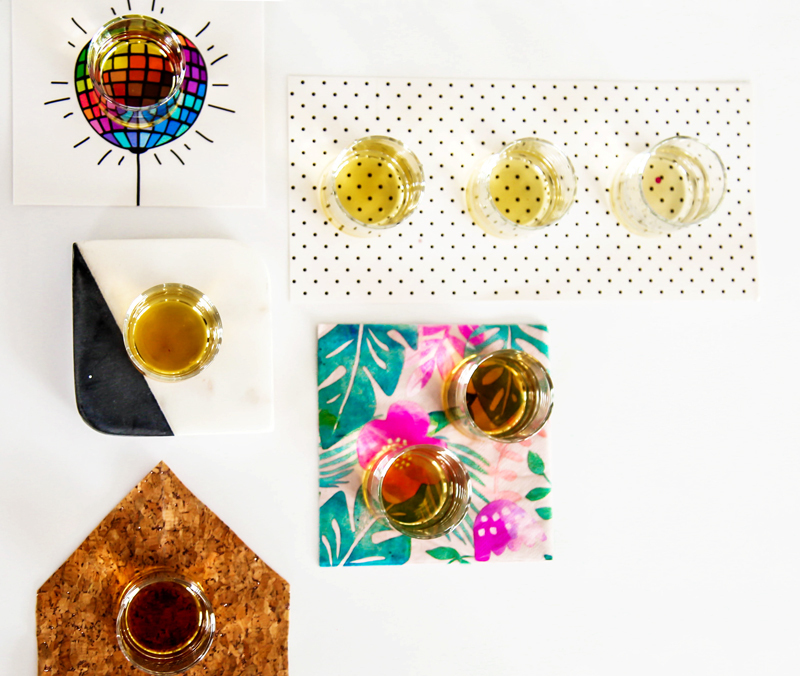 A blind tasting is a fun way to host a party where everyone will connect, laugh and definitely leave with a funny story to share. We partnered with 2 of our favorite brands to let each guest take home a bottle at the end of the how to do a whiskey tasting night. Via a blind lottery and it was so much fun to see who picked what, based solely on taste. 1. Start by choosing the number of guests and bottles that you will have. Have each guest bring a bottle concealed in a bag or put a price tag on the night and have someone collect all the money and buy all the bottles for the night. Ensuring you have a variety of tastes and price points makes the evening more fun. We also provided hearty bread and meaty foods to help with the alcohol intake. And took a break every 3 tastings to mingle, eat and talk about what we had just tried. 2. Designate someone who will not be involved in the lottery to do the pouring in a separate room. This way no one will stand around trying to cheat based on bottle size or coloring. We had 12 bottles that we tasted over a 4 hour period, which meant a very small 1/2 oz pour of each tasting. Since the goal of the night was fun & education, it helped to have everyone taste slowly through the night. We grabbed a bag of these pourers and used a jigger to ensure the tastings went as planned. 3. 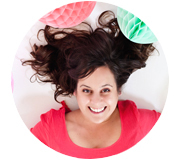 Provide note cards for guests to jot down thoughts. 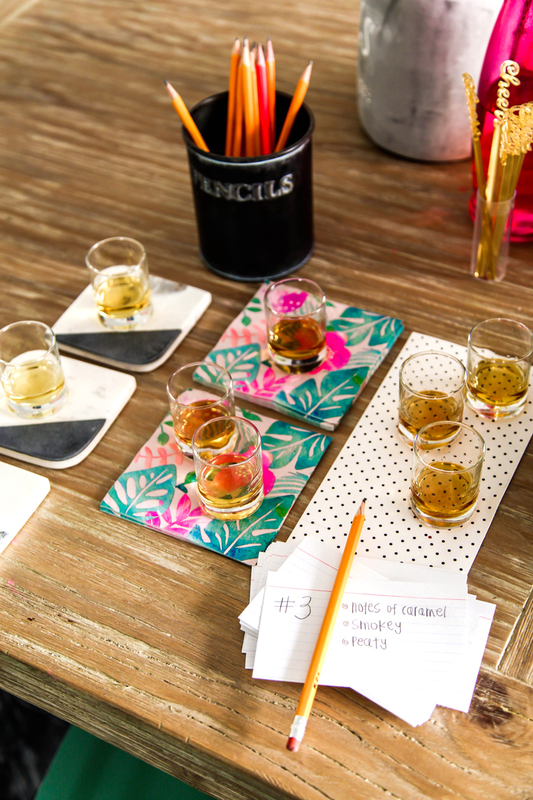 We numbered each tasting and allowed time for everyone to write their ideas of the pour and note their favorites between tastings. 4. To end the night we gave each guest a bottle to bring home via lottery. This ended up being the highlight of the night! It was hilarious to see who chose what and how different our taste buds can be when we aren’t judging our favorites based on labels and brands. All of the bottles were great so there was no loser, it was just a really fun way to end the evening. We had everyone draw a number from a hat and starting at one, and picked the numbered bottle they wanted to bring home. The labels were finally shown as the bottles were revealed and handed off to each guest. Like the best grown-up party favor ever! It was a great night of connecting and learning more about how to do a whiskey tasting. The most important part on how to do a whiskey tasting is the distillery. The first distillery we partnered with for the whiskey was Buffalo Trace, located in Frankfort, Kentucky. It is the oldest continuously operating distillery in the United States. Located on an ancient buffalo crossing on the banks of the Kentucky River in Franklin County, the distillery is named after the American bison. The Buffalo Trace Distillery is an American staple and was an obvious choice for our tasting night. On the tasting list from the distillery was their namesake bourbon – Buffalo Trace, their award-winning Eagle Rare, their tribute to the founding father of the bourbon industry – Colonel E.H. Taylor Small Batch. And what is widely considered one the favorite bourbon of most enthusiasts – Blanton’s Single Barrel? With three of the four in this selection coming from the same Mash Bill. For us novices, a Mash Bill is the mix of corn, rye, and barley they use to make the spirit. 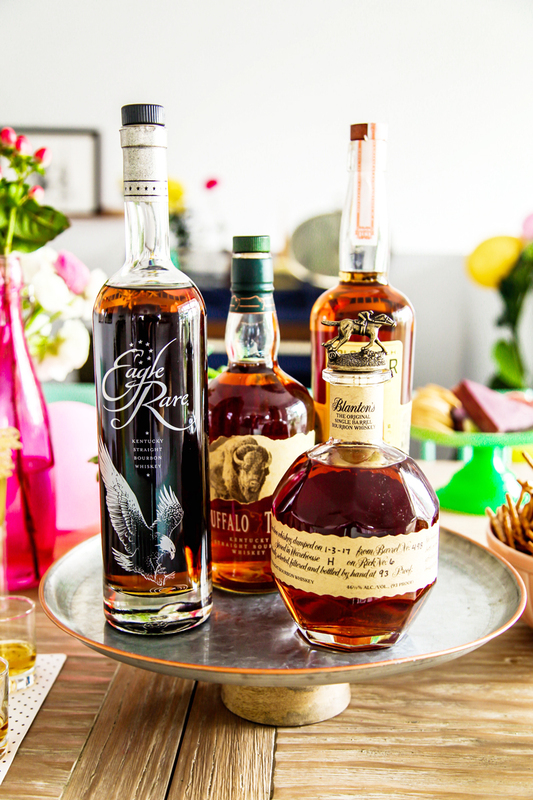 Our guests were amazed at the range of flavor and style Buffalo Trace was able to produce. The second group we partnered with was Diageo’s Classic Malt selection, which is a staple of Single Malt Scotch. Don’t take my word for it, take Ron Swanson’s! From the deep, dark brooding intensity of Lagavulin to the light, a delicate floral landscape of Glenkinchie. The collection is one that Scotch enthusiasts love, and that newbies like me are consistently converted into lovers. Even as someone that doesn’t drink single malt scotch often, I was blown away at the diversity of their Classic Malts. We tasted the following bottles: The Singleton of Glendullan, The Dalwhinnie 15, Caol Ila 12, Talisker Storm, Lagavulin 8 – 200th Anniversary Edition, and Oban 14. 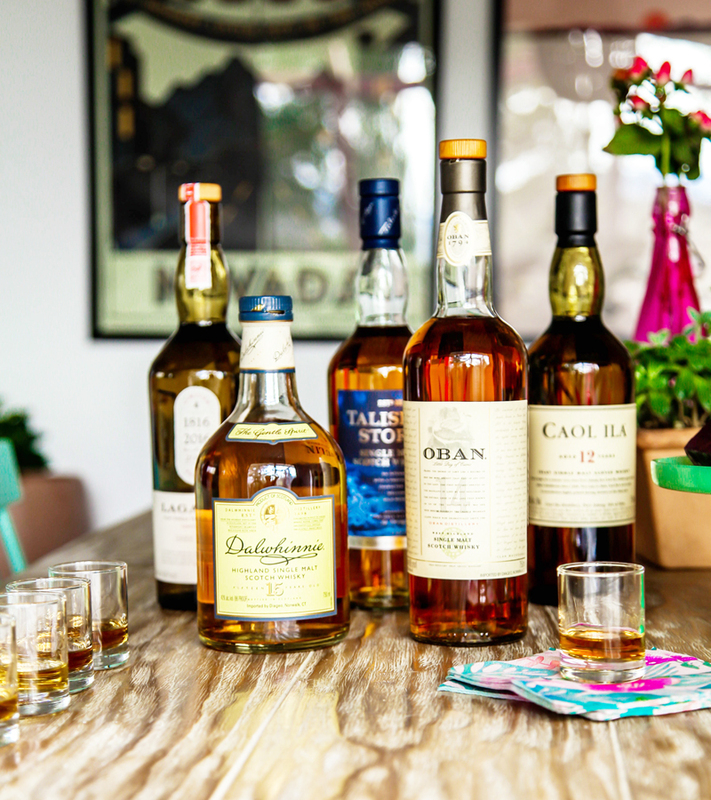 If you want to please the Scotch lovers in your life, grab them one of these bottles. If you have a friend that says they hate scotch. 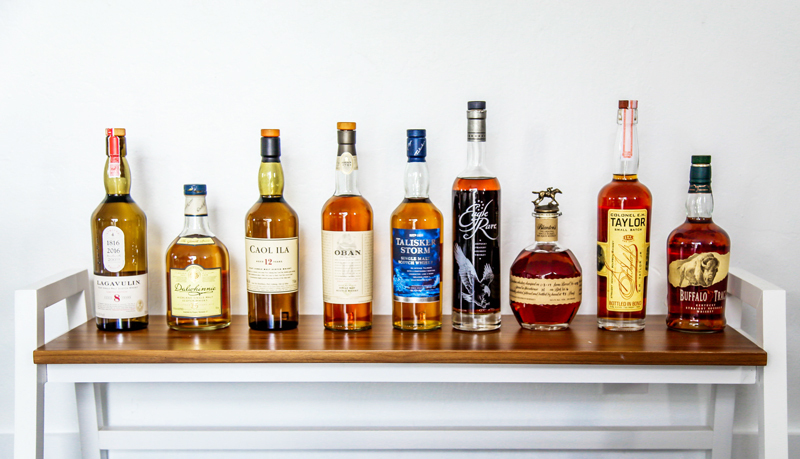 Do a tasting of these bottles and watch them be amazed? There are guaranteed to be a few bottles they will love. A few bottles they like, and a few bottles that make them question what they knew about life. To do a proper whiskey tasting: Have them smell the whiskey, taste the whiskey, and sit on it for a few minutes. What makes Single Malt Scotch such a great value is how long the flavor lasts. It’s truly an amazing experience in a bottle. PS. If you are more of a wine lover, check out our post on How to Taste Wine! This is a great idea how to spend Saturday night with use and pleasure. Thanks a lot!